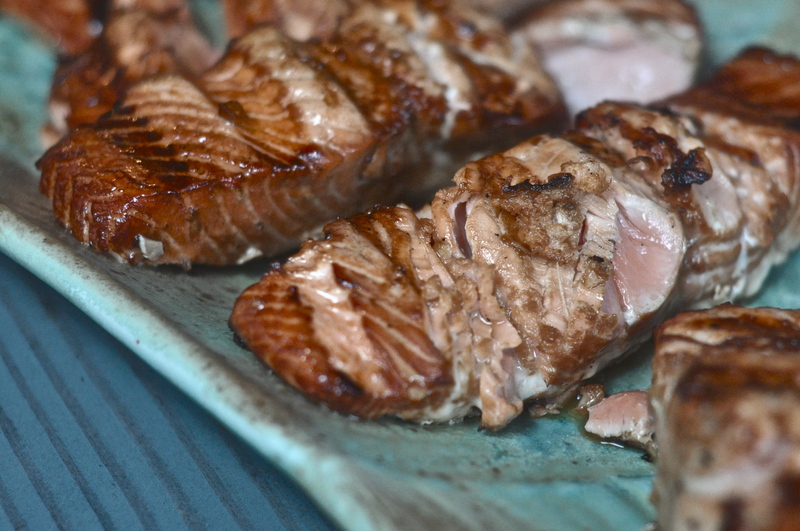 I am a big fan of “Debbie’s Salmon” — a recipe, named for the woman who gave it to my mother, that involves marinating the fish in a mixture of white wine, soy sauce, garlic, and ginger. (I’ve written about this recipe before, and sometimes serve it over udon noodles with a soy-ginger sauce — a dish The Professor gave an A+.) 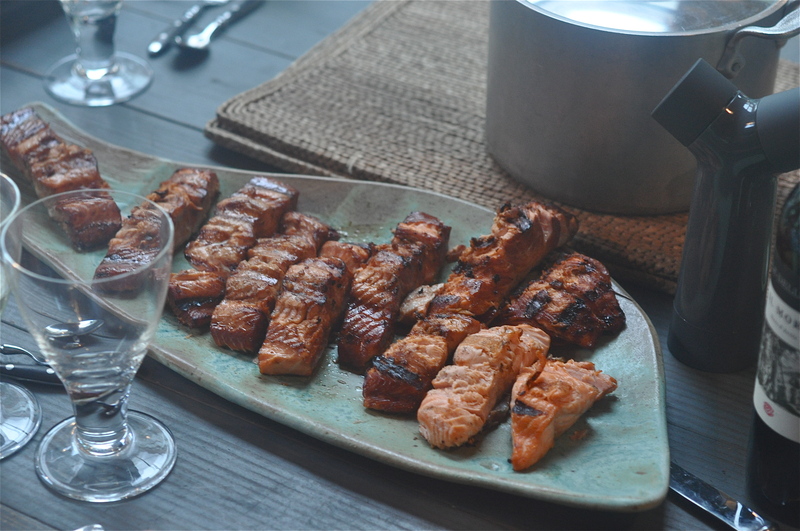 I usually roast the fish, but last Friday The Cook’s mother served Debbie’s Salmon grilled. And isn’t everything better grilled? You can see the original recipe below the photos. Thank you for this recipe. It is the yummiest salmon I have ever made!